I wanted to make sure that you knew that we have an incredible time planned for Purpose Church Claremont for Christmas Eve morning at 10am. You will definitely not want to miss it. And this is an incredible opportunity to invite family members and friends to join you as we celebrate the birth of Jesus. If you are looking for a Christmas Eve candlelight service, please plan to attend one of the three afternoon services at the Pomona campus (3pm, 5pm, 7pm). 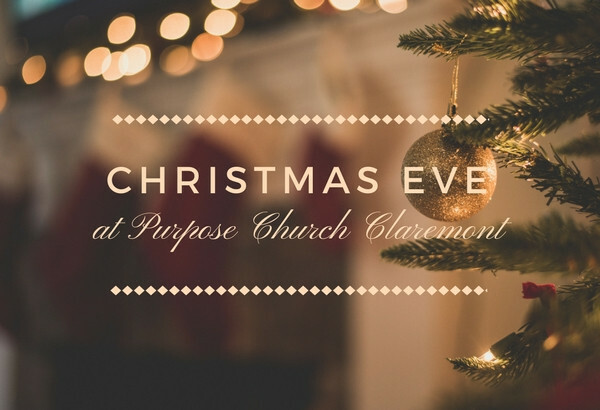 If you have any specific questions about Christmas Eve morning, please do not hesitate to contact us at claremont@purposechurch.com.